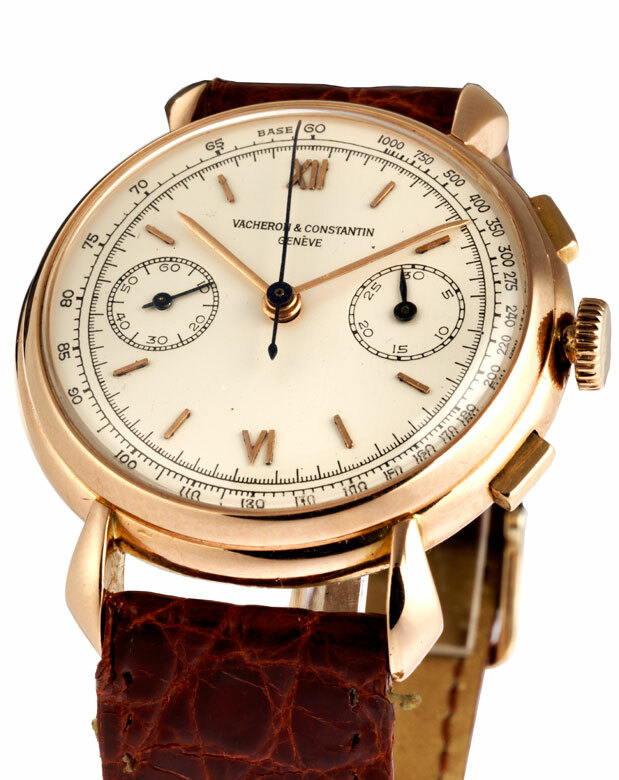 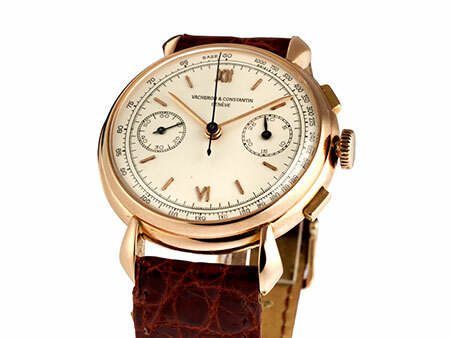 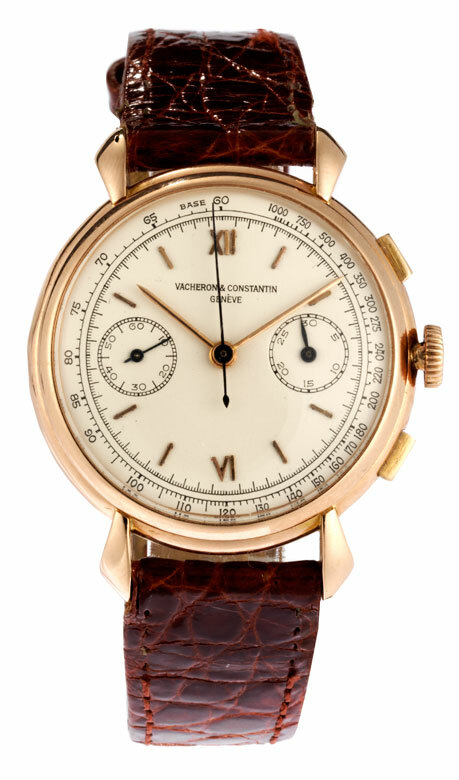 Fine Chronograph by VACHERON & CONSTANTIN in 18-ct rose gold with drop-shaped lug ends, 36 mm in diameter. 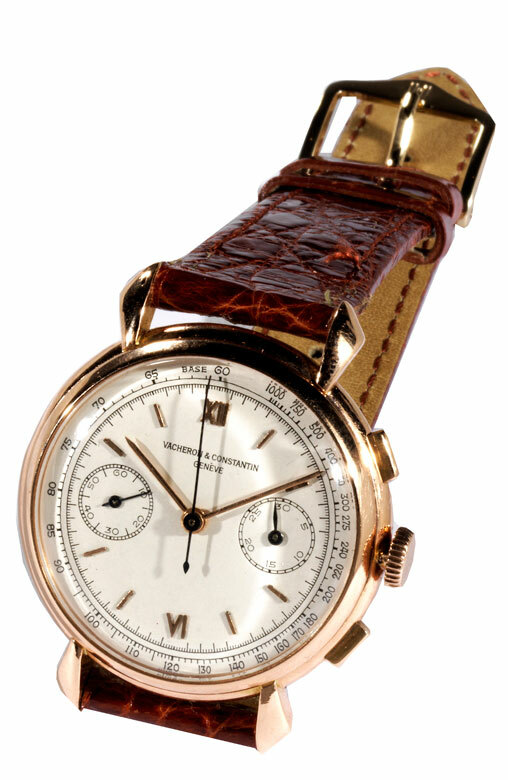 Silver dial with Roman numerals and baton indices in rose gold and with external tachymeter scale. 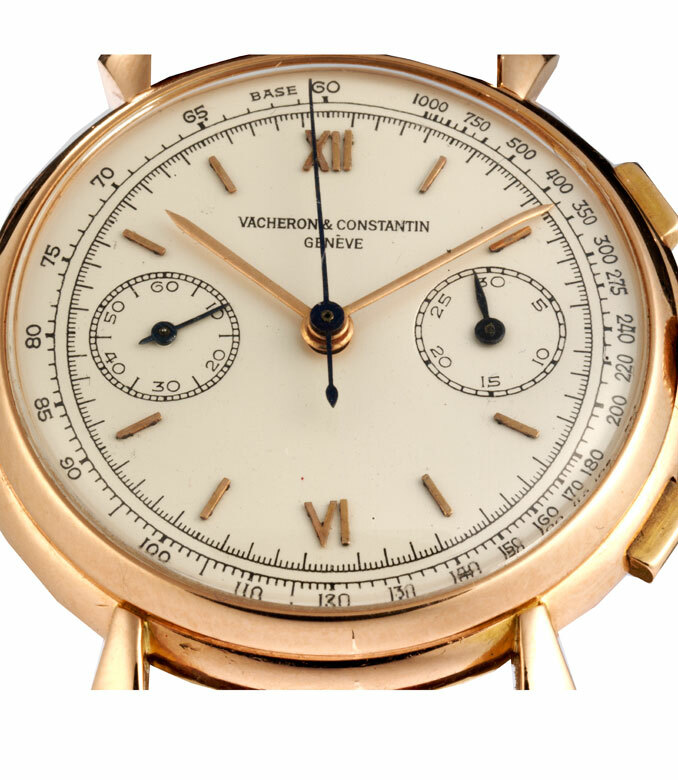 Manual wind movement calibre 434, 1940s.